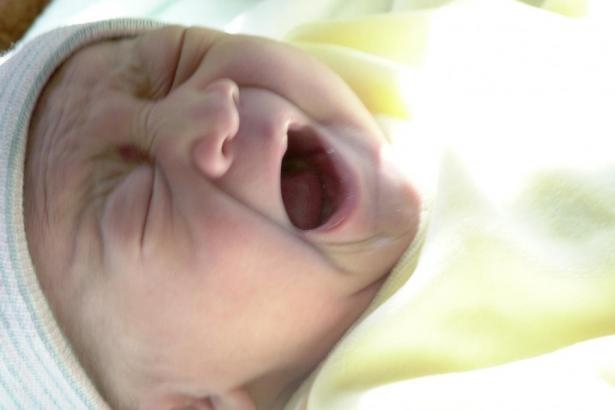 Prescription Addiction – in BABIES?? In my mind, however, the answer is simple—it’s happening because doctors are continuing to prescribe very addictive medications as if they were candy. And more and more, unfortunately, their patients appear to be pregnant women. In 1973, I was diagnosed with Crohn’s Disease, a very painful and debilitating illness for which there is still no known cause or cure. We know that doctors, despite their intention of doing no harm, don’t like feeling powerless—and that this is exacerbated by the way we look up to them as if they were gods. This behaviour from the public at large probably contributes to their doctors’ need to have all the answers, which in itself can promote an emotional addiction all around. There is no way this can be healthy situation—not for the physicians nor for the patients who revere them—most certainly creating a lose-lose environment in our all-important area of health care. But in 1973, we were taught to revere those doctors, and “addiction” per se was not on the radar the way it is today. So even though the various prescriptions they gave me, week after week, month after month, year after year for substances like Valium, Codeine, and Demerol brought me to a dire level of total dependency, I can forgive them by understanding that nearly 40 years ago, they knew not what they did—nor did they know the devastating harm they were actually unleashing on people like me. Today there is no way we can—or should—be that understanding or forgiving. Today, through the stories my clients tell me, I know of many physicians who are still handing out prescriptions for medications that are highly addictive in the body —meaning that anybody’s body would become addicted to them. This continues to happen on a regular basis and it is a travesty, pure and simple. It’s bad enough that the rooms of such addiction recovery programs as Narcotics Anonymous are full of people who were prescribed these meds by their “well-intentioned” doctors. But when those with the addictions are pregnant women who are now giving birth to an astronomically high percentage of addicted babies —well, that should be enough to get our attention. I am in no way suggesting that we shouldn’t respect our doctors for the training and knowledge they have. They certainly know far more than most of us do about the workings of the human body and how to fix it when it goes askew. I, myself, had a wonderful doctor for 25 years—until he recently retired—but I also made sure to supplement his information with that of a naturopath and a variety of other healers as I needed them, as well as with my own research. As a result, I am much healthier now and my Crohn’s Disease—although not cured—is much less of an issue in my life today. The question to ask in 2012 is whether these physicians are indeed well-intentioned, simply trying to spare their patients some pain and discomfort—or whether they are lazy and just not keeping up with the glaring amount of information about addiction that is on the radar today. How could they not know the potential harm this kind of practice with pregnant women and their unborn babies can cause? And why are we, as a society, still treating the medical establishment as if they know everything, rather than doing our own research? Let’s trust our own bodies and our own intuition, while also weighing the information that a variety of healers can offer us about our health care. Let’s empower ourselves by saying ‘No’ to those who would hurt us and our loved ones.